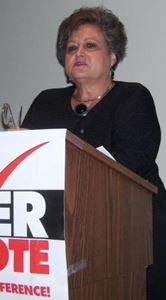 Janis Guyton, President of Monroe/West Monroe BPW, welcomed the attendees to the commemoration of the 90th anniversary of women's right to vote - Women's Equality Day 8-26-2010. 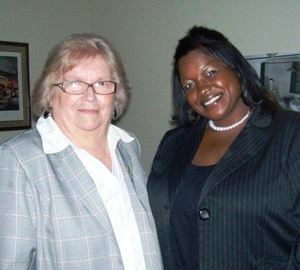 Rhonda Counselman Vice President of BPW Monroe-West Monroe. 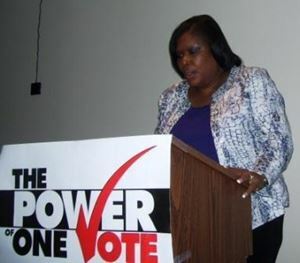 Angie Jackson Wilson, Past State President and current Treasurer of BPW/LA brought greetings and encouragement for the passage of the ERA from the state BPW Federation. 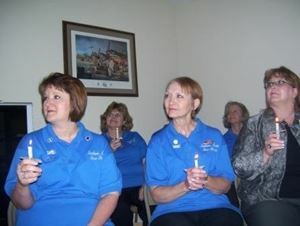 'Light Up the Sky' attendees at the Chennault Aviation and Military Museum when many women from the community, BPW. 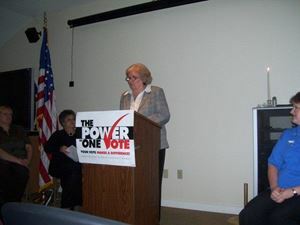 and AAUW members gathered to celebrate 90 years of women's voting rights. 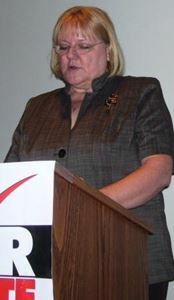 Judy Wilson emphasized the 72 years it took to get the 19th Amendment passed and the difficulty women like Carrie Chapman Catt, Alice Paul, and Lucy Burns had in doing so. 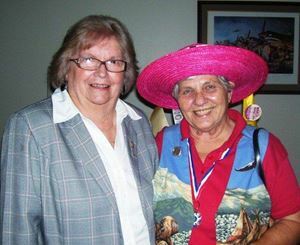 Judy Wilson (l) organized the Rally and Candlelight ceremony to commemorate "Light Up the Sky for Women's Equality." 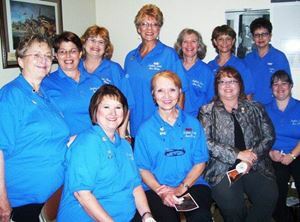 BPW Monroe-West Monroe, AAUW, Southern Accent Show Chorus, and the Monroe Mayor’s office were represented at the event.